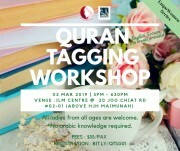 If you are looking into getting one step closer to loving the Al Quran but do not know how to begin or where to go? 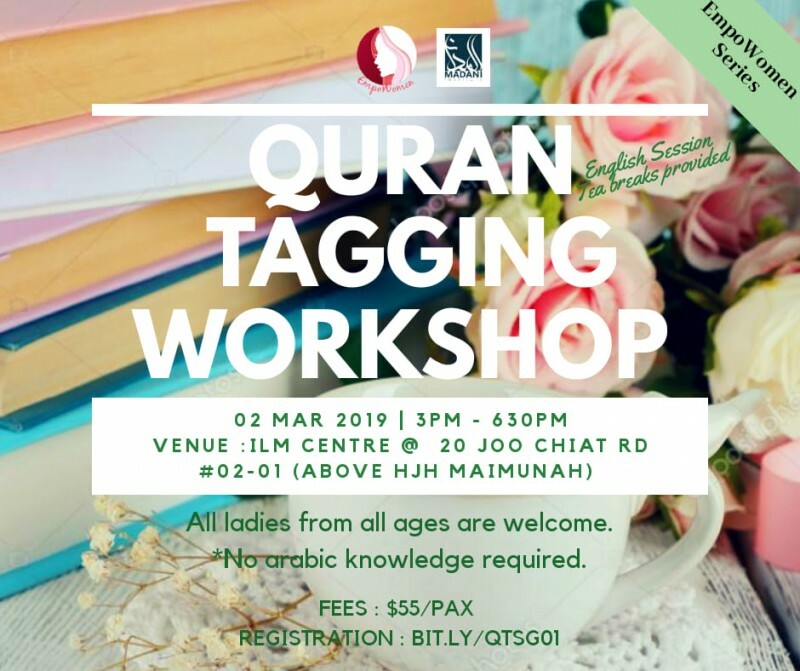 Qurantagging workshop is a special series designed to assist our muslim sisters into getting connected to the quran. * Might have my period on that week? Yes, you can.